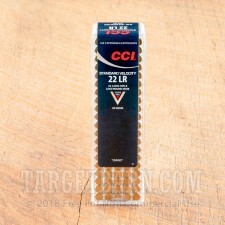 Providing accuracy and reliable terminal performance, CCI is the industry leader in rimfire ammo. 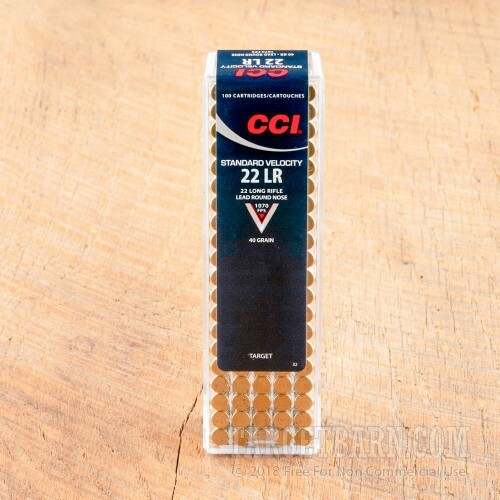 With exciting high-performance products, CCI is a name you can count on whether you're hunting small game, engaged in serious competition, or just plinking in your own backyard. 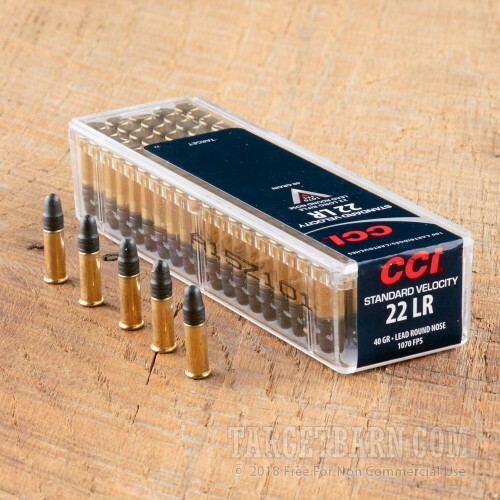 CCI's Standard Velocity loads provide an affordable option for the high-volume shooter that delivers the same ballistic performance as many high-quality competition rounds, but at a price point that won't hurt your bank account. 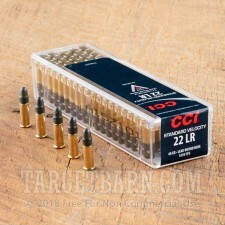 This package contains 100 rounds of CCI Standard Velocity 22 long rifle ammunition. 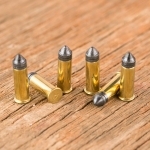 Each round is loaded with a 40 grain lead round nose (LRN) projectile. An ideal choice for casual target shooting, these rounds can also be used for varmint control and small game hunting. 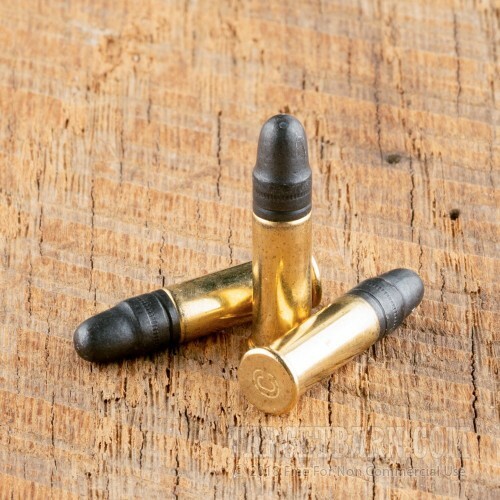 This is new production ammunition that features Sure-fire CCI primers and non-corrosive, reloadable brass casings. Each round delivers a consistent muzzle velocity of 1070 feet per second and a muzzle energy of 102 foot pounds.